Your wedding ceremony is one of the most special, precious moments in your life so the fun and the celebrations should start with your ceremony. It really does set the mood and the pace for the whole day. 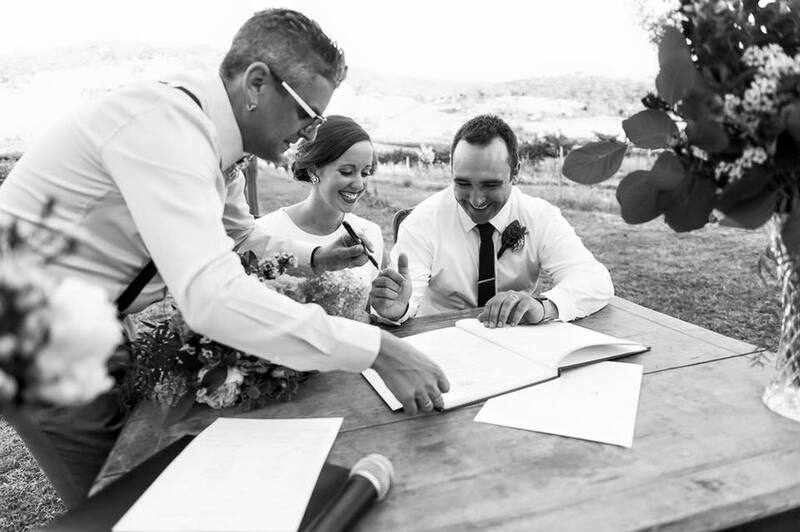 A great celebrant is an essential part of creating an amazing wedding. So if you want someone who is modern and outgoing but still understands the meaning and emotion behind the occasion you’ve come to the right place. 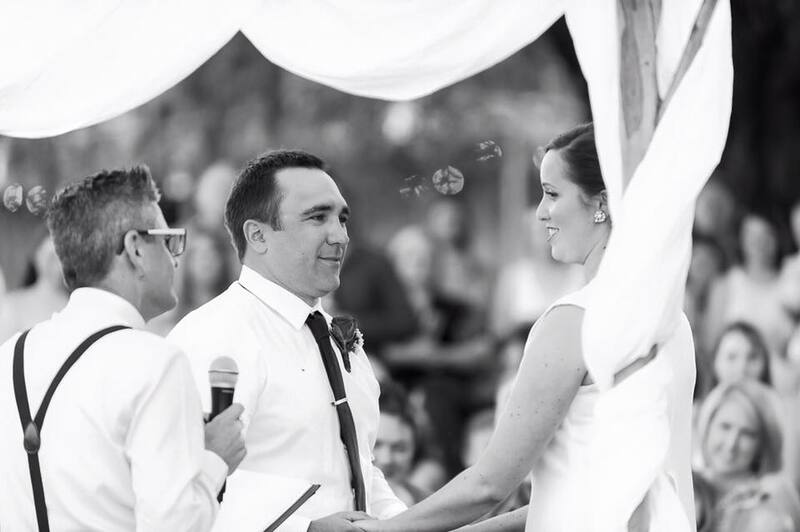 It’s important to do your research and choose someone who you connect with and can trust to make your wedding ceremony unique and personal. 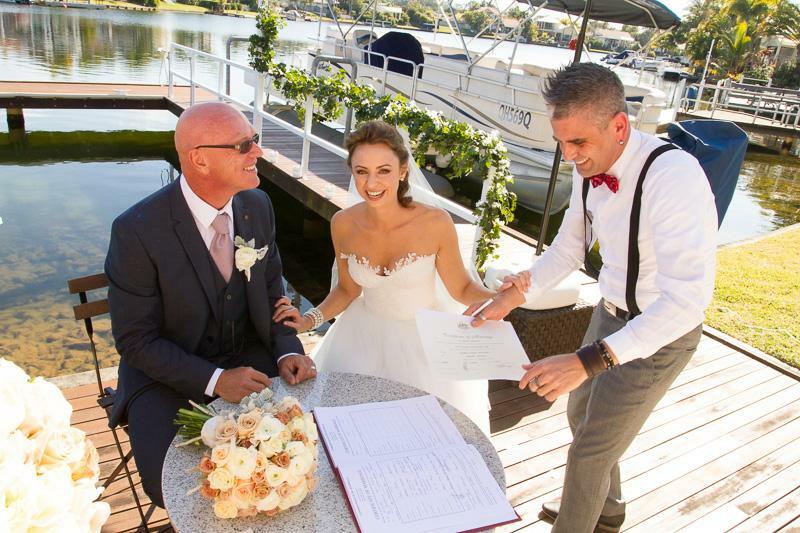 As a well established and popular Wedding Celebrant, I want you to have the perfect wedding to match the beautiful views of Sunshine Coast. From the marriage paperwork, preparing the music, to writing your vows, my job is to help you through the entire process. I guarantee a stress free experience and will make sure you have fun along the way. 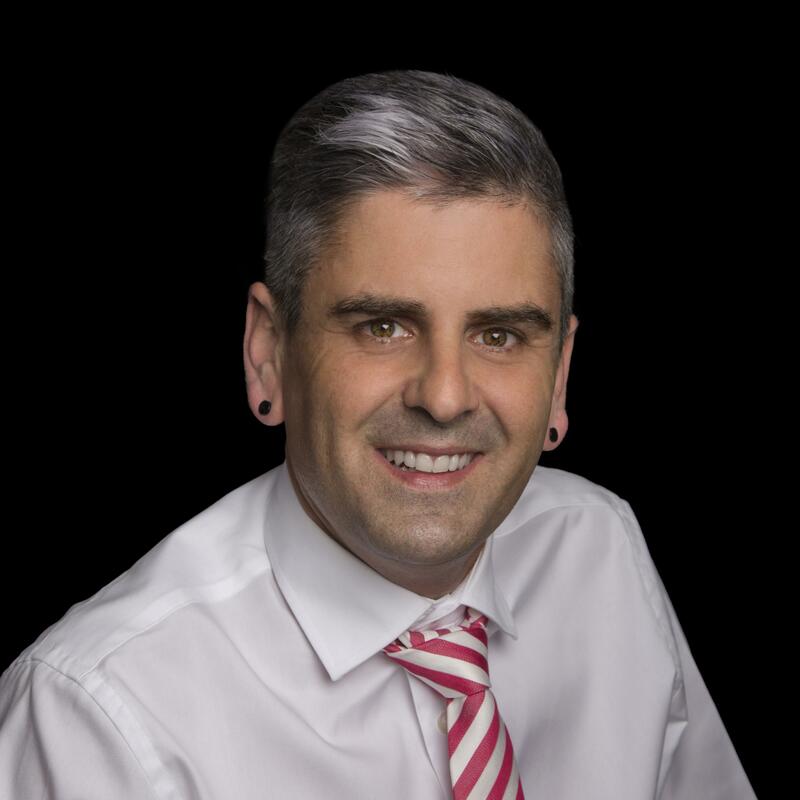 I’ve been involved in the Sunshine Coast community and catering and tourism industry for many years, so I come prepared with plenty of inspiration. I encourage unique, personal touches that will make your Sunshine Coast wedding ceremony a perfect reflection of yourselves. I embrace any personal touches that make your wedding different from any other. 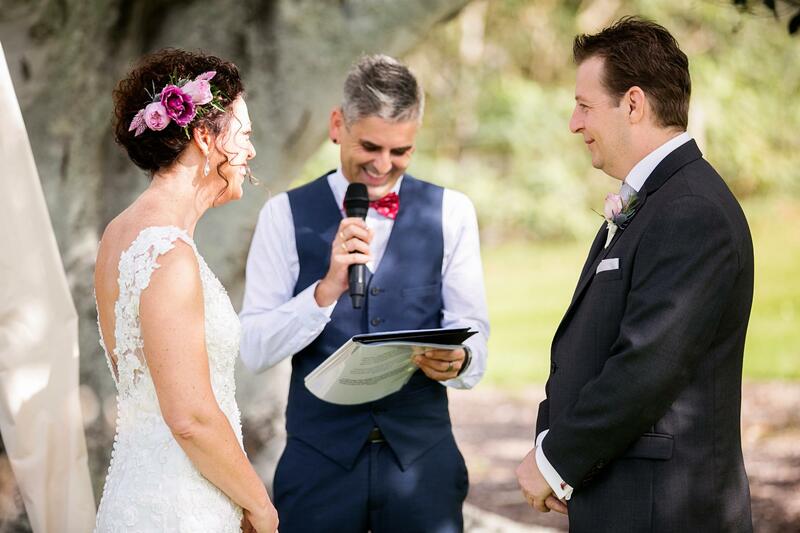 I am a civil celebrant with many years of experience making weddings for couples all across Sunshine Coast, Noosa and the rest of Queensland extra special. I will bring a tonne of fun to your ceremony and make it a truly memorable one — find out more about me here. A Naming Ceremony is an increasingly popular way to welcome a new child into the family. This is a secular (non religious) ceremony, and while it is not to be considered a Christening or a Baptism, it is gaining in popularity due to it’s focus on the child and the family unit. Your dream wedding can come true by planning a destination wedding near or afar in the location of your dreams. Elopement Weddings or Small Weddings at your dream wedding location can be very affordable and cost less money compared to a local traditional wedding where you invite every relative & friend under the sun. There comes a time in your life when you realise that if you stand still, you will remain at this point forever. Life’s circumstances are not always what you may wish them to be. The pattern of life does not necessarily go as you plan. Beyond any understanding, you may at times be led in different directions that you never imagined. Yet, if you had never put any effort into choosing a path, or tried to carry out your dream, then perhaps you would have no direction at all. Walk your path one step at a time – with courage, faith and determination. Keep your head up, and cast your dreams to the stars. A path that you never imagined will become the most comfortable direction to follow. Keep your belief in each other, and walk your new journey together. You will find it magnificent, spectacular and beyond your wildest imaginings.